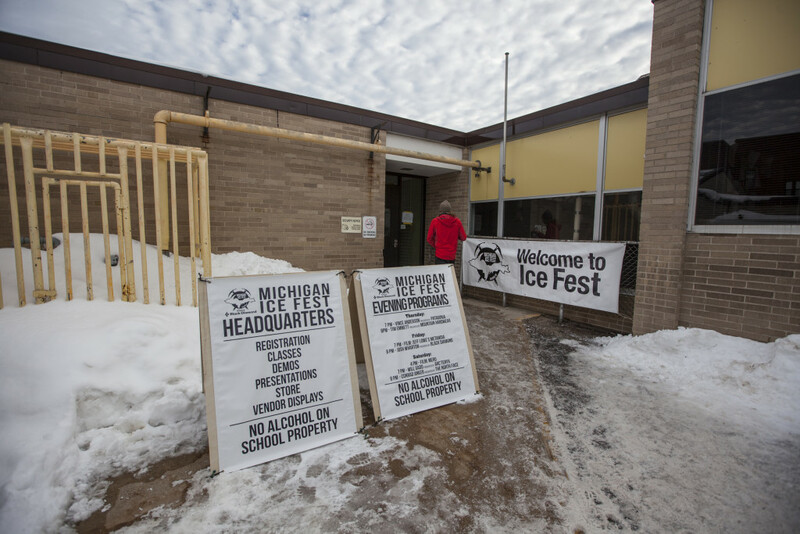 Last year the Michigan Ice Fest relocated to a new headquarters located at the Central Community Center and we loved the increased space! For 2018 we are headed back and our headquarters will be home to registration, demos, vendors, mini presentations and more! One change that will come with the new headquarters is there will be NO ALCOHOL allowed inside the school. Please see Climbing Socials for After Party info! The Mather Elementary School was built in 1921 which included a classic auditorium with a raised stage and theater style seating. In 2001/2002 the Mather Auditorium was completely renovated and state of the art sound and lighting were introduced. With over 700 seats, and a sixty foot screen, the auditorium will provide the perfect setting for our feature presentations. No food or drinks are allowed in the auditorium- Thanks! Ice Fest takes place in Munising, Michigan on the shores of Michigan’s Upper Peninsula and Lake Superior. 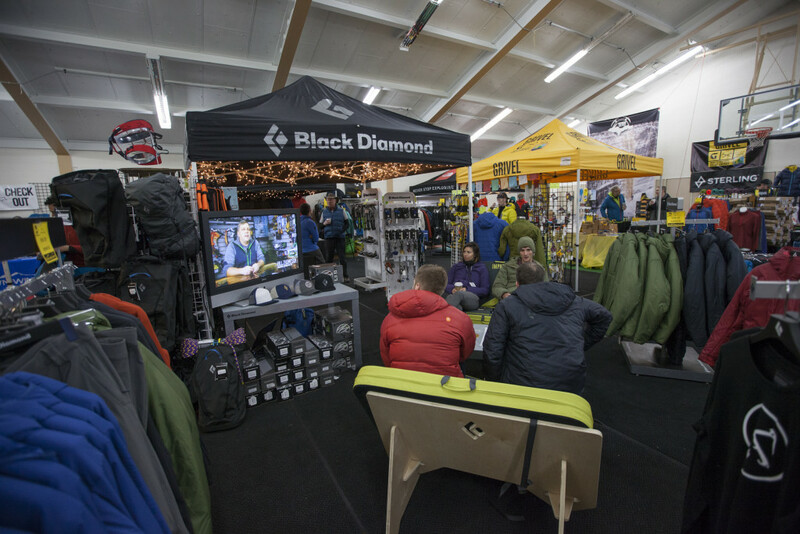 Ice Fest headquarters is located at the Munising Community Center and this is where you will go to pick up your registration materials, check out and return demo equipment, and meet for all of the classes. 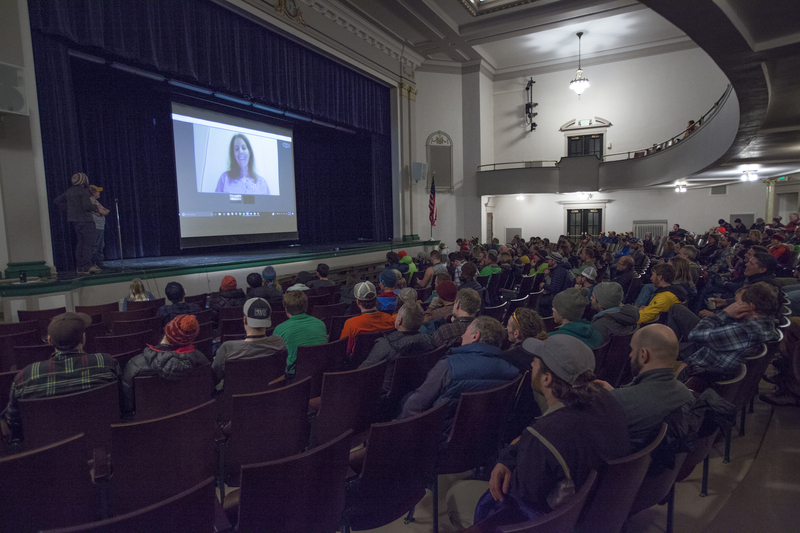 Slideshows will be held in the beautiful Mather Auditorium.